Come solo or bring your partner for a special event in honor of Valentine's Day. 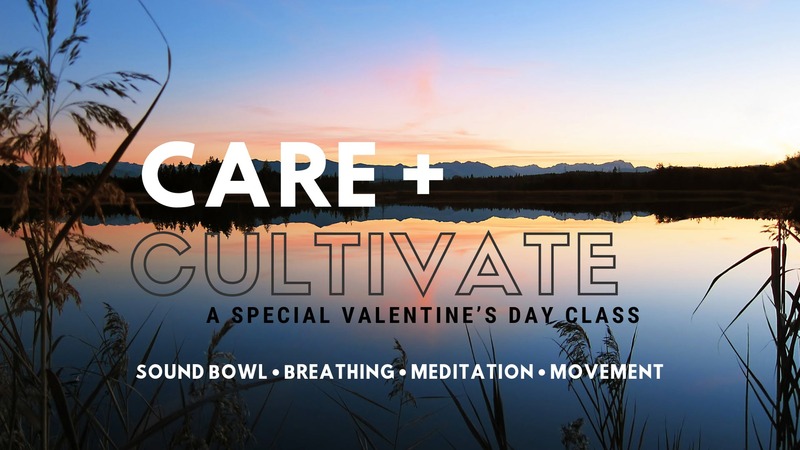 Our scheduled class will transform for an evening focused on of all-levels practice, meditation/breathing, and sound bowl meditation. Come ready to relax while cultivating self-care through release and peace of mind. Feel free to bring extra blankets, eye covers, essential oils, anything that will help you truly enjoy the experience. This class is included in our class packages and monthly unlimited. You can purchase tickets and/or sign-up online for the non-discounted rate. If you qualify for the discounted rate (senior (55+), students, or military) the discount can only be applied in-person at the center.